Ed. & written by George S. Johnson. You remember Lazarus: the starving beggar who lay ignored at the gate of a sumptuously rich man, but who, after death, was cherished comfortably in the bosom of Abraham (Luke 16:19-31). 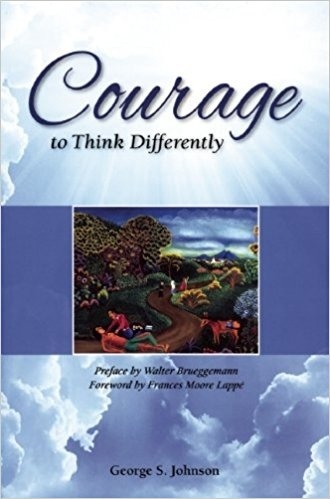 That disturbing question, asked by Walter Bruggemann in his Preface to Courage to Think Differently, is a good illustration of the probing theme and tone of the book. In a sense the title is misleading: the book is not so much about thinking as it is about behaving. 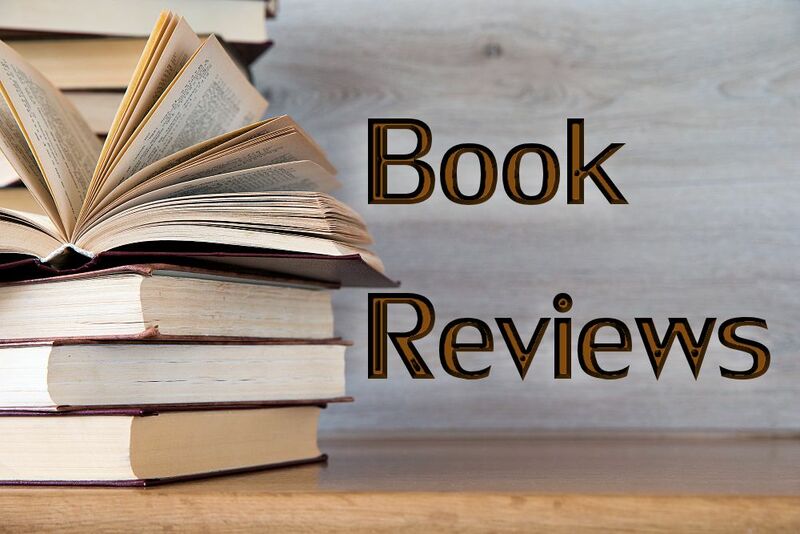 Editor/writer/publisher George S. Johnson brings the two together in his introduction, emphasizing that the basic issue of the volume is simply this: “Does my way of thinking help me to love God and my neighbor?” (p. 22). The goal of the book is to build “revolutionary discipleship” in the place of “a complacent establishment Christianity” (p. 138). Are we following Jesus or believing in Christ? (p. 160). To pressure us toward honesty, Johnson provides seven sections of powerful essays on aspects of our culture: irrelevant religion and idolatry, exclusion and thin democracy; biblical certitudes and ignorance; individualism and cheap grace; ecological crisis and greed; silence and job security; and empire and civil religion. He concludes with an Appendix containing an assortment of teaching aids—charts, essays, lists, etc.—to help readers face facts and become Jesus’ followers rather than mere believers. The theologians, activists, and scholars whose writings make up Courage gave me some facts I would really rather not know. For instance, the same Sir John Browning who wrote “In the cross of Christ I glory” forced China to adopt the devastating opium trade; the same John Newton who captained ships packed with African slaves journaled about enjoying sweet divine communion on the deck above the holds where people were chained together. Currently, Christians worship such idols as the Bible, the church itself, the sacraments; and we dispose of Jesus’ example by worshipping instead of emulating him. Meanwhile, between 25 and 35,000 children are dying every day of hunger and poverty. Lobbyists keep America’s drug prices twice as high as Europe’s. The top 10% of our population gets almost half of the world’s income, while the bottom 60% gets less than 14%. (As Gandhi said, “If you want to know who is Christian, ask the poor”). While climate change is killing more people than terrorists, many believers in Jesus deny that there is any such thing as climate change. Corporations prevent farmers in poverty from seed-saving by creating patented seed with non-renewable traits. In India, in 2004 alone, 1600 farmers committed suicide because they couldn’t make a living with the patented seeds. Are they my Lazarus? Or yours? Johnson has collected some of the most powerful cultural analysts available. I have already borrowed some searing statistics from a few of them. But I’ll try to stimulate different thoughts and behaviors by quoting several more by name. Elizabeth Schüssler-Fiorenza attacks the “wealthy” protectors of androcentric language, saying that if inclusive language translations truly “castrate” Scripture, then “ultimate reality and authority” are indeed “phallocentric” (p. 117). 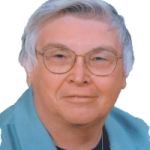 George S. Johnson challenges a widespread blind spot: if “to advocate for the common good sounds like a form of socialism,” nevertheless it is the foundation of America and “is central to the teachings of Jesus as well as most religions” (p. 132). Leonardo Boff goes after classism: We must proclaim that God’s judgment on “the sheer dominance of one class, which uses its apparatus of state to realize its interests while the underclasses foot the bill” (p. 230). Rabbi Michael Lerner provides examples of times when generous strategies, such as the original Marshall Plan after W.W.II that gave aid to former enemies, helped to avoid further carnage. And then he proposes developing “a strategy of generosity as an alternative to militarism” (p. 259). Some years ago, while attending a lecture at a theological seminary, I was forced to recognize a Lazarus at my gate when I heard about the sufferings of transgender and intersexual youngsters. I know I could not do very much to help them, but I could reach out with empathy to that “Lazarus” community by doing research and describing their situations. The result: Omnigender: A Trans-Religious Approach and a co-authored book, Transgender Journeys. And I know that I share the universal responsibility for the “Lazarus” of worldwide poverty. More than ever, economic injustice is challenging us Christians to do more than believe—to follow the behavior Jesus taught and lived. Courage to Think Differently has recharged my spiritual batteries. It is a book that will help willing readers to identify which aspects of “Lazarus” their specific gifts have been nuanced to meet. In our own ways, all of us must work toward the fair sharing of resources. So the questions to ask ourselves remain simple but awe-inspiring. Who is my Lazarus? And… do I really want to know?